Ed West, a veteran Realtor and Broker with over 40 years of experience, is one of the most recognized and respected real estate professionals in the Rabun County area. He is well known for his professionalism and dedication to customer service. His single-minded goal is to help the folks he works with achieve their own objectives of purchasing or selling real estate. And - to accomplish that aim with the least amount of stress and confusion. 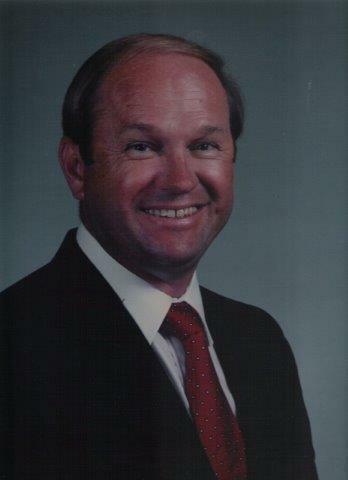 Ed started his firm, Ed West Realty, Inc. in 1974 and offers his clients unsurpassed real estate representation. West learned many years ago that "listening to your client" is a key to providing outstanding service. Both buyers and sellers benefit from Ed's 40 years of area knowledge, experience, and his due diligence. Once a purchase or sale is under contract, he stays on top of every detail - keeping on track to a timely and successful closing. His experience as a residential building contractor for 15 years adds an additional comfort level to his clients in their home buying decisions. Ed lists and sells many luxury properties on and off the lakes. He has in-depth knowledge of what it takes to sell our waterfront properties and navigating all the Georgia Power rules and regulations on the lakes. Along with helping clients buy and sell real estate, Ed also works with investors looking for top return on their real estate portfolios. When not involved with clients or the community, he and his wife, Denise enjoy the great outdoors. You might find them gardening, hiking or enjoying a round of golf. For many years, Denise has been the Broker in the Sky Valley office of Ed West Realty, Inc. She takes the time to understand her client's wants, needs and goals, then takes the time to make sure you have all the information you need to make a wise decision.